Kahr held a ground-breaking ceremony for their new headquarters in Blooming Grove Township of Pike County Pennsylvania, in the state's Pocono region. 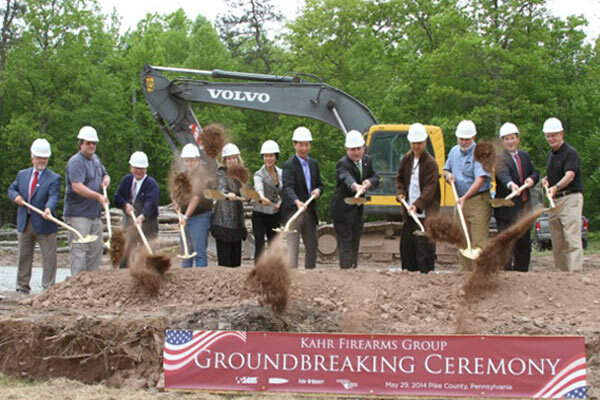 Kahr Firearms Group held a ground-breaking ceremony for their new headquarters in Blooming Grove Township of Pike County Pennsylvania located in the state’s Pocono region. Kahr CEO Justin Moon was joined by a crowd of over 180 people, including Pennsylvania Lt. Governor Jim Cawley and other state officials. As the press release notes, early last year Kahr announced they would be moving their headquarters from New York to the gun-friendly state of Pennsylvania. The ground-breaking ceremony represents the first step in the relocation process. The company has purchased 620 acres of commercial real estate from the Pike County Industrial Park Development Group. Corporate offices and the R&D department will be the first to move. After that, they’ll expand manufacturing operations to the Pike County location. Kahr said in the press release that moving to Pennsylvania will result in a more “cohesive relationship” between their company and the state than what they previously experienced in New York. Over the next few years, they will reach to the local community in Pike County with employment opportunities. 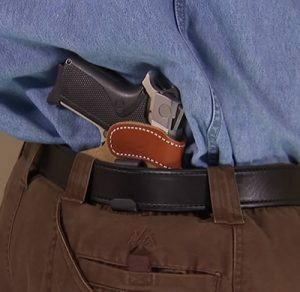 Remington's extraordinary sub-compact R-51 gets a permanent home with a new line of DeSantis holsters.